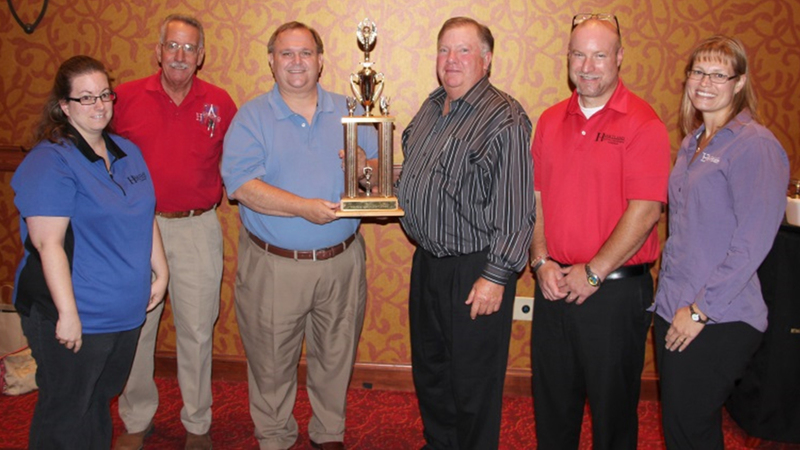 For release to gmrconline.com (Illinois mutuals only), grinnellmutual.com, LinkedIn, and newspapers in a 20 mile radius of Belleville, Ill.
Heartland Mutual Insurance Company of Belleville, Ill., was presented the prestigious Company Achievement Award by the Illinois Association of Mutual Insurance Companies (IAMIC) during its 2014 annual convention. Heartland Mutual has served Illinois customers since 1883 and is reinsured by Grinnell Mutual Reinsurance Company. 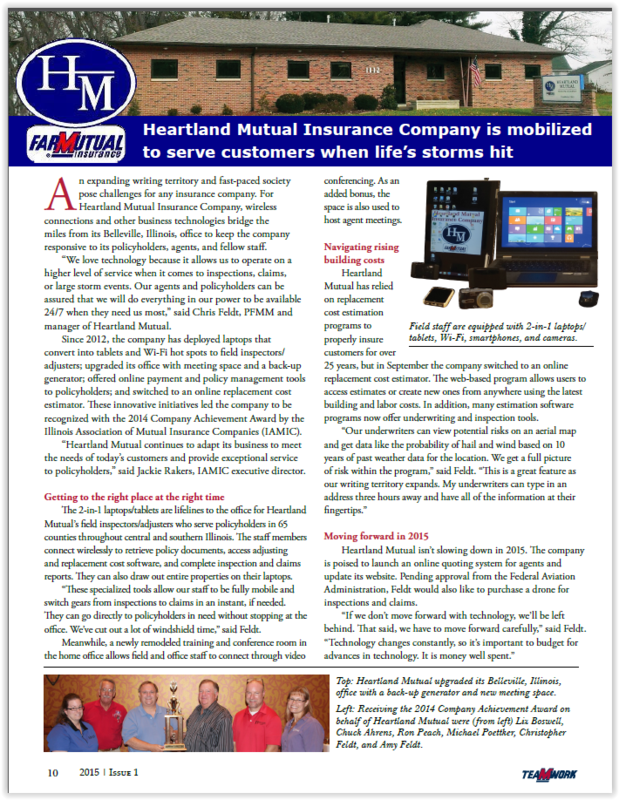 “Heartland Mutual continues to adapt its business to meet the needs of today’s customers and provide exceptional service to policyholders. That’s why we’re pleased to name Heartland Mutual as the 2014 recipient of the Company Achievement Award,” said Jackie Rakers, IAMIC executive director. Grinnell Mutual Reinsurance Company, in business since 1909, provides reinsurance for farm mutual insurance companies and property and casualty insurance products through more than 1,600 independent agents in 12 Midwestern states. Grinnell Mutual is the 120th largest property-casualty insurance company in the United States and the largest primary reinsurer of farm mutual companies in North America. 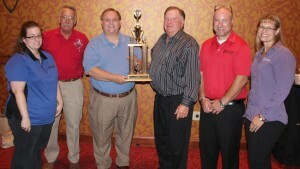 Receiving the award for Heartland Mutual were (from left) Liz Boswell, Chuck Ahrens, Ron Peach, Michael Poettker, Christopher Feldt, and Amy Feldt.